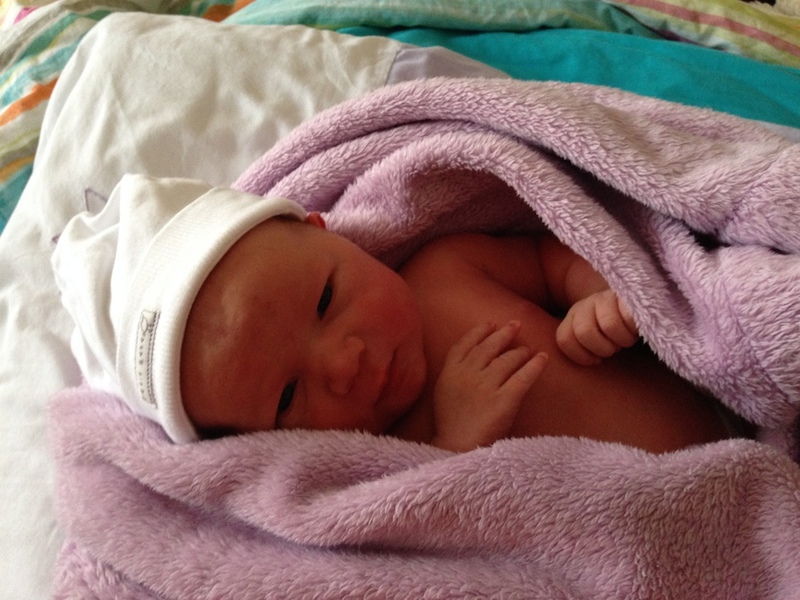 We have already let many people know the news through Facebook and text of course, but Peter wanted me to share the birth story here. Every birth is so unique . . . we prayed that God would allow us to have this baby at home and for Him to orchestrate all the details as He would like them. And He so did that! We are so thankful that we were able to have Jessah at home and the whole birth was quick and uncomplicated. I have to say that Sunday was one of the best days of my life! 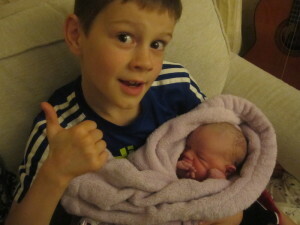 Our baby was due (according to the medical professionals!) on the 25th of October. When that day came and went last week, I was praying so much for God to help me be patient! At times I was feeling pretty emotionally fragile, so I was asking God to help me hand all my fears over to Him. I had several days last week when I had contractions about ten minutes apart but disappointingly, they stopped when I went to bed. 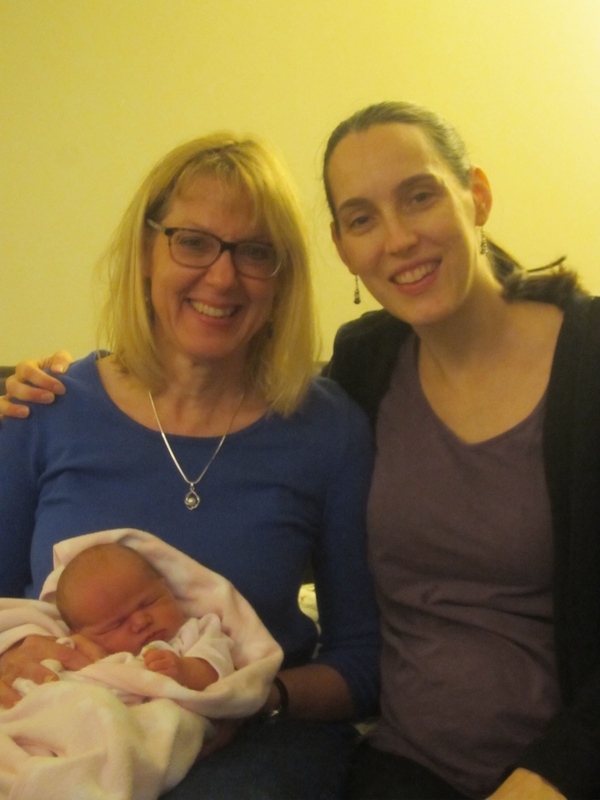 So when I had contractions ten minutes apart most of the day on Saturday, I wasn’t convinced that this was the real thing – even though they felt stronger to me than the other days. The children and Peter went off to the Light Party at church at 4pm. By the time they got back I was starting to think something might be happening but didn’t tell the kids as I didn’t want to get their hopes up! After they went to bed, Peter and I prayed together and timed a few contractions (they were still about ten minutes apart) and decided, per the advice of our wonderful midwife friend staying with us, to go to bed and rest and see what happened. Peter went to sleep but I didn’t. The contractions were definitely getting stronger but they were now 10-20 minutes apart. I was really confused! I woke Peter up eventually and judging by the way I was sounding, he said he thought we should get up and call the midwife. I wasn’t sure. I didn’t want to bother them when the contractions were so far apart. We went downstairs to the lounge and I had a few more strong contractions and then called the midwife. It was about 12:30 am. She said they would start getting their things together to come to our house but to call back in the meantime if we needed them sooner. Well, after that, things really moved! I went from the contractions being 10 to 20 minutes apart to them being about 3 minutes apart. I was really having to breathe through them. I alternated standing up leaning on Peter and sitting on the birth ball. 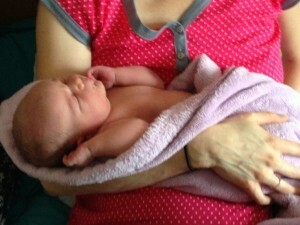 Peter decided to call the midwife again about 1:00am and she was there about 1:45am. A second one showed up shortly after. Both of them were lovely and really made me feel at peace. It wasn’t too much longer until I felt needed to push! In the last week or two we had thought the baby had his or her back to my back (not the normal position for delivery) and it turned out she stayed like that – sunny-side up! I know compared to how long some women push, it wasn’t too long, but it did feel like she was taking a long time to come! Peter and the midwives (including our wonderful friend Paula) were so encouraging, telling me to keep going and not to give up and that we’d meet the baby soon. Aliyah and Hannah were close by as well, watching the whole thing. Finally, at 2:45, Jessah emerged – in two unusual ways – face up and inside her bag of waters! Apparently, to be born “en caul” is good luck and sailors believe a child born this way will never drown. Hmmm. We of course, believe our Father holds all things in His hands – so we think Jessah is not extra lucky but extra unique and special! After all, a fifth daughter has to make her mark in some way, right? As far as the face up part, we suppose she was just so eager to see all her family so she decided that was the best way to make her grand entrance! 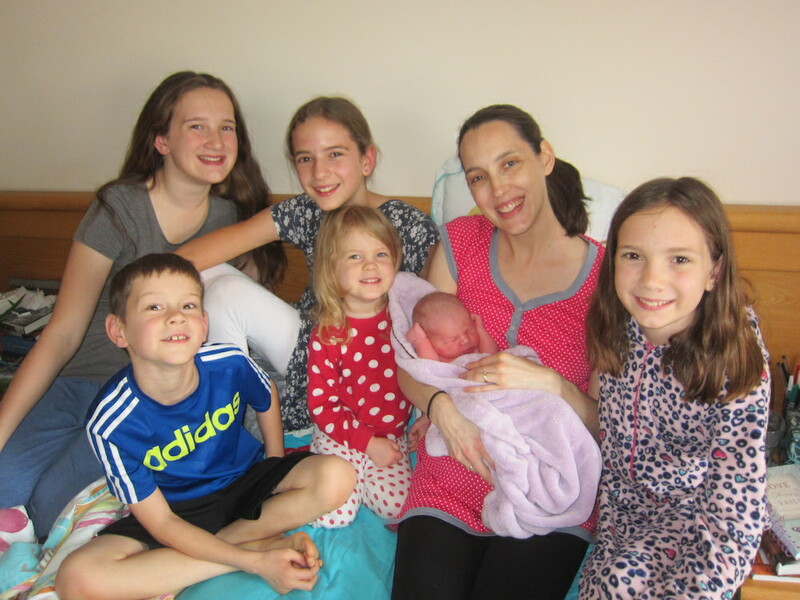 Not the easiest way for mum to give birth, but we thank God that she arrived safely. Oh the pure joy of embracing a new life. God’s gifts are beautiful and perfect. Lots of people thought we should be having a boy to even out the numbers in our family. While we would have loved a boy, we are 100% delighted with our little girl. Even Joel said, “I don’t know why people keep saying ‘Poor Joel.’ I like having sisters.” And he wants to hold Jessah just as much as the girls do! In a world where many unborn (and born) baby girls are killed simply because they are girls, we celebrate the precious gift of girls! Made in God’s image and beautiful to Him! Jessah’s middle name is Abigail which means, “father’s joy.” We know she will bring great joy to Peter and the rest of us. And we know her heavenly Father takes great joy and delight in her! Most of you know that we lost a baby early in pregnancy back in early 2014. The heartache of losing that little one was great and we grieved for a long time. However, our amazing and loving Father proved to be so faithful and gracious to us during those difficult months of grieving. The journey of the last two years has not been easy. And I am conscious that many people don’t have the “happy ending” that we have and still long to hold a child in their arms. God’s ways are so far above ours. When we finally conceived again this year, there were many fears to battle. Even in the final days before Jessah’s birth, I was afraid we’d lose her before she was born and I kept having to hand my fears over to the Lord. So the joy of her birth is extra sweet. We have learned a lot about trust and patience and we believe that He is good – not because He has given us Jessah – but because He truly is loving and compassionate in times of joy and in sorrow too. Peter picked Jessah’s name. We love the way it sounds and also what it means – “God sees.” He is not a God who is far removed from us . . . He sees our hearts, our feelings, our desires and loves us so much. He saw our desire for another little one and has graciously given us Jessah. Now we are settling in to interrupted nights and (happy) exhaustion. Thank you for your prayers as we adjust to having a newborn again. We are thankful to have some precious days as a family to enjoy each other and celebrate Jessah. 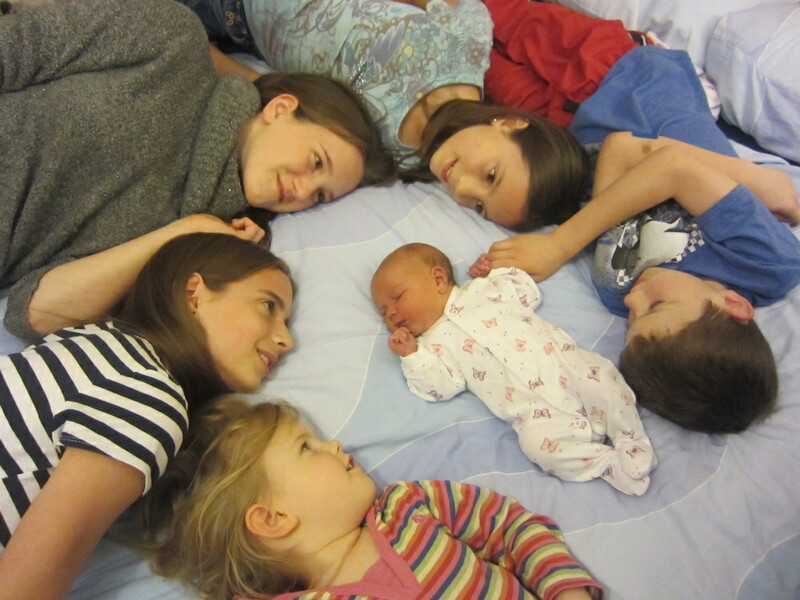 Can you tell this little girl is adored by her sisters and brother? You can also check Peter’s Facebook page or his instagram for more photos – he’s taken some really good ones!